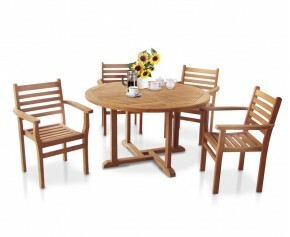 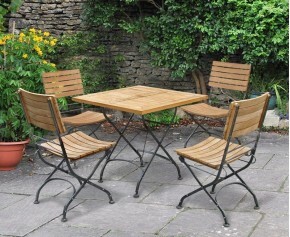 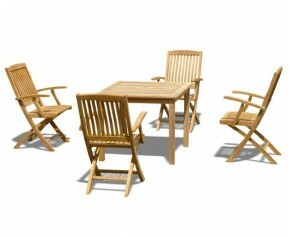 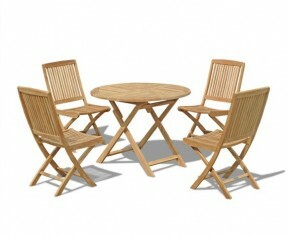 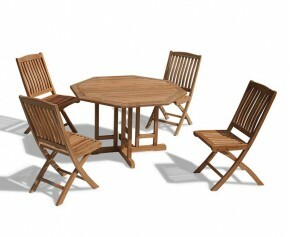 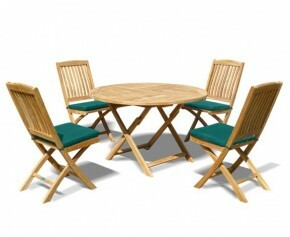 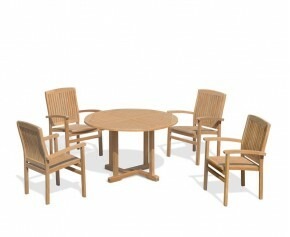 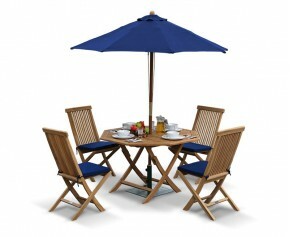 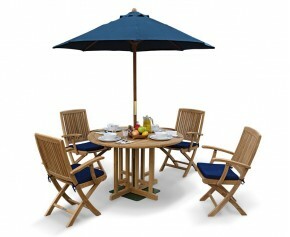 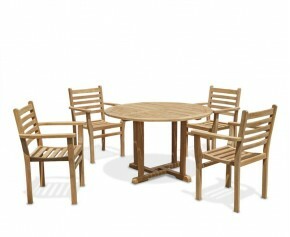 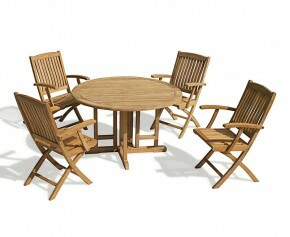 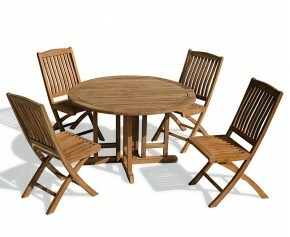 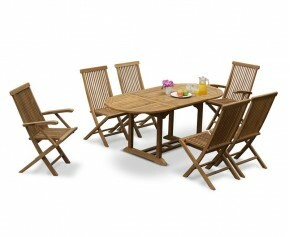 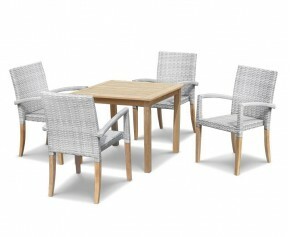 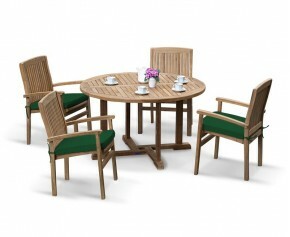 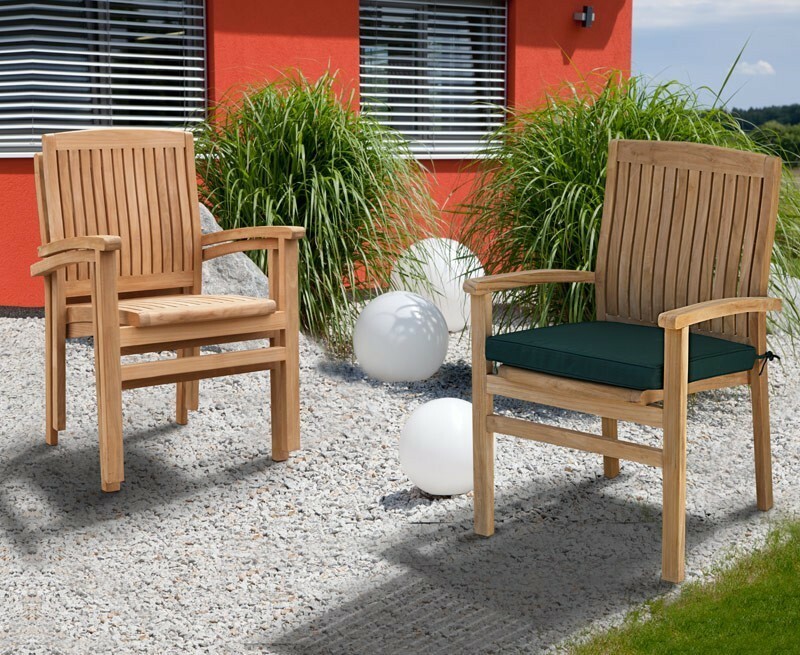 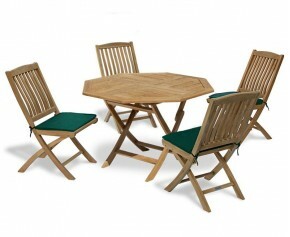 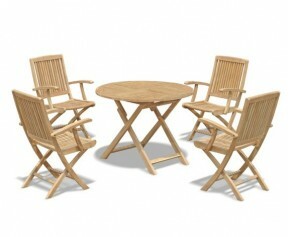 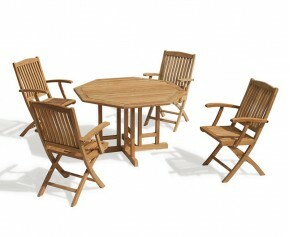 Our great value Santorini Teak Patio Set is stacking garden furniture at its best. 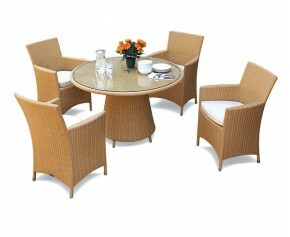 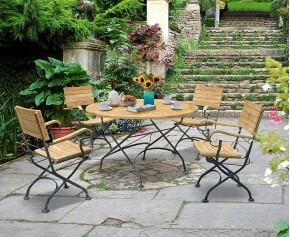 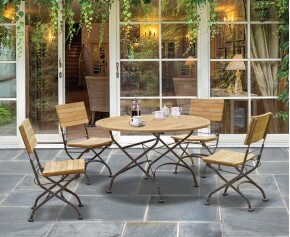 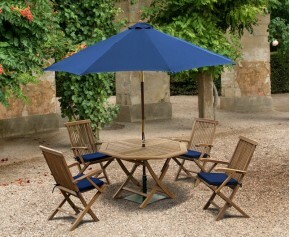 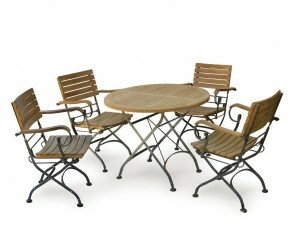 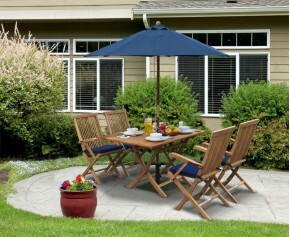 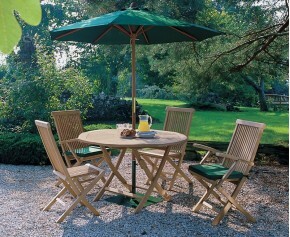 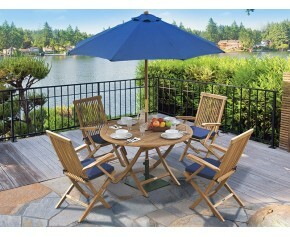 This patio set is easily incorporated into your garden, for alfresco dining. 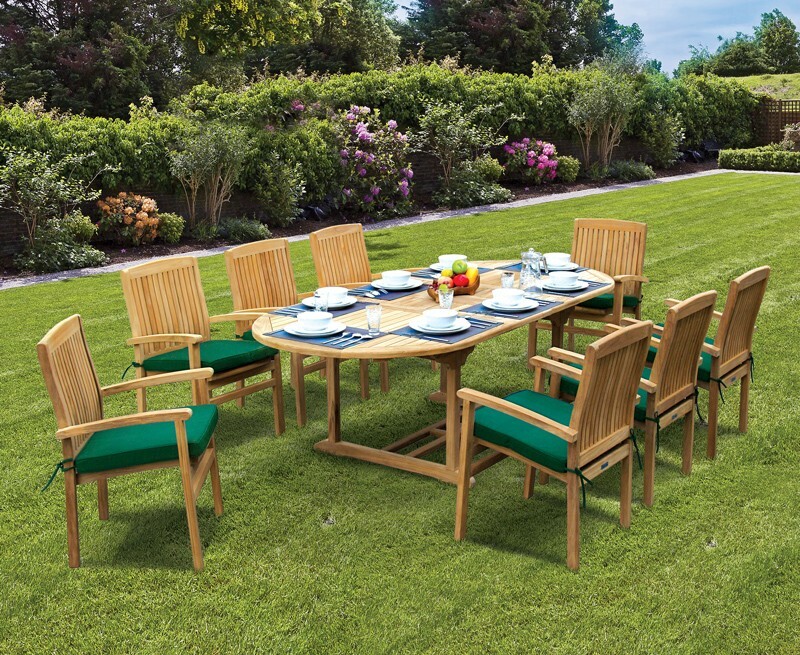 The Brompton teak garden table and comfortable stacking Bali chairs are made from durable sustainable plantation teak, which means this great outdoor furniture set can be left outdoors year round, or put away if required. 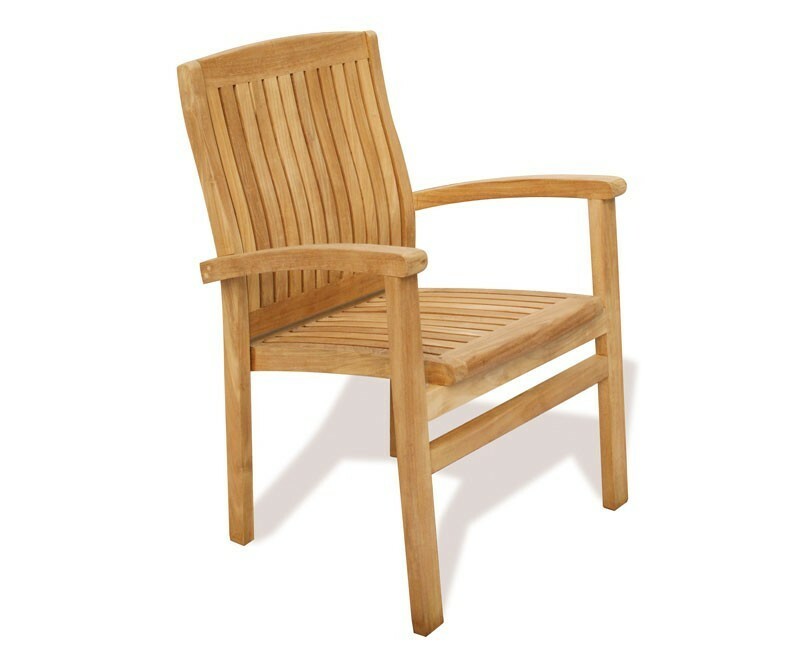 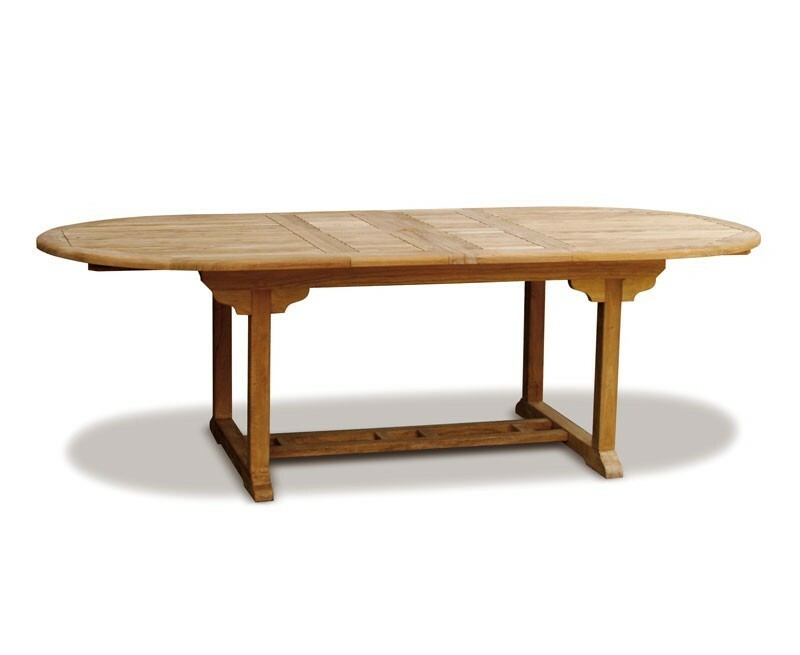 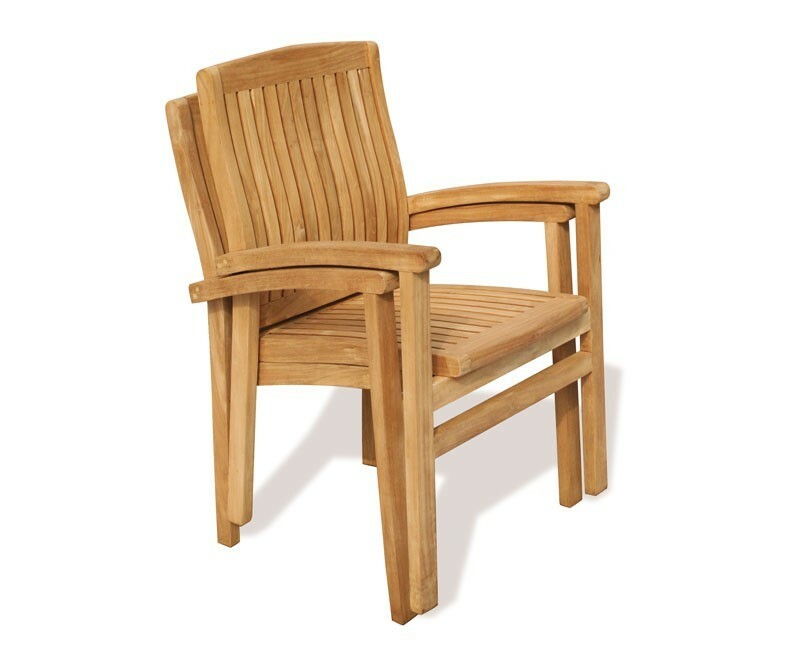 Crafted in premium quality A-Grade teak wood grown from certified renewable forests.